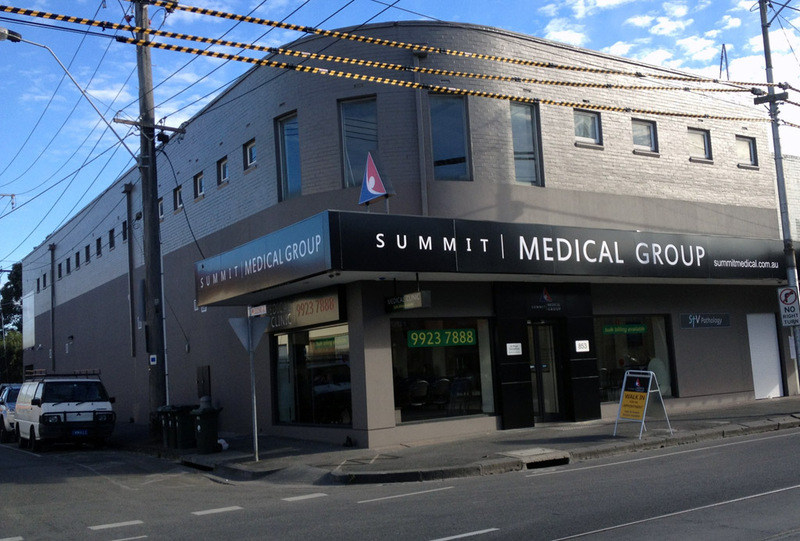 Summit Medical Group is a modern purpose-built General Practice and Allied Health clinic that aims to provide its patients with access to holistic health care of the highest standard. The clinic was founded in 2013 by sole owner and Practice Principal Dr Prem Saranathan, who has been providing a high level of quality health care to the Coburg and Brunswick communities for the last 14 years. The health clinic provides a full range of general practice services for you and your family’s health, from childhood vaccinations and aged care through to women’s health and workplace injuries. All of our services are provided by a team of experienced family doctors who will make you feel at ease and are willing and able to answer any questions you may have. We at Summit Medical Group pride ourselves on treating multiple generations within the same family and always welcome new patients. We can bulk bill GP services upon presentation of a valid Medicare Card. The clinic is also able to meet the needs of our Corporate Clients by providing comprehensive services in Corporate Medicine in a manner and time frame that meets their requirements. Conveniently located at the corner of Cozens Street and Sydney Road, our clinic is easy to access via road and public transport, making appointments easy and stress-free. To make an appointment, please call us on 03 9923 7888. 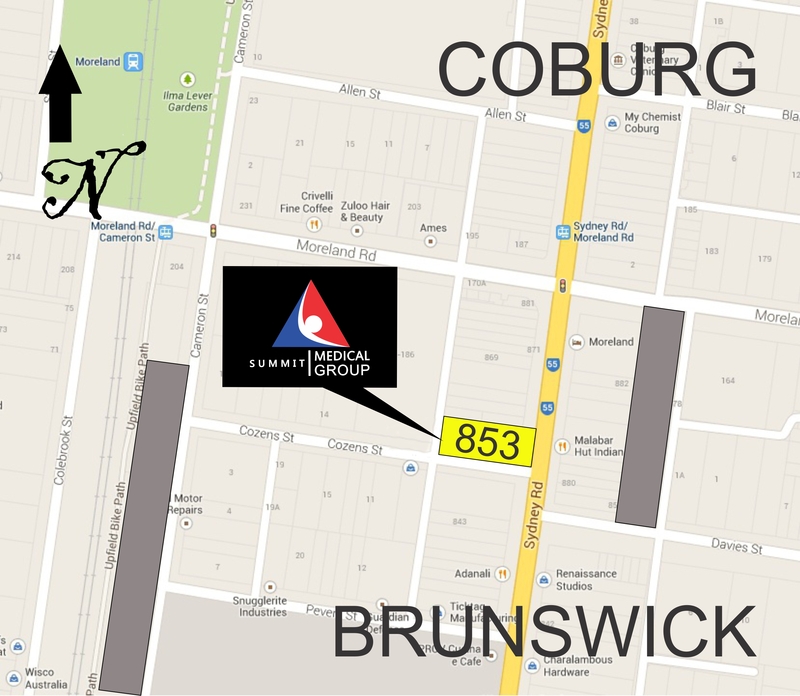 We are located at 853 Sydney Road, Brunswick 3056. Overseas students with a valid Allianz Global Assistance OSHC card (formerly Worldcare OSHC) will also be direct billed without any out of pocket expenses. NEW EXTENDED OPENING HOURS – The clinic is now open from 8.30am to 9pm from Monday to Thursday, 8.30am to 6pm on Friday and 8.30am to 1pm on Saturday.